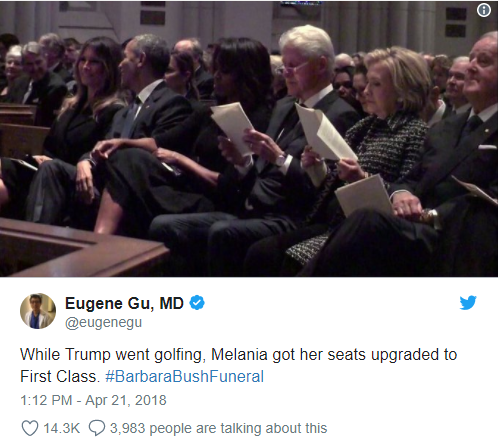 First tortured lady Melania Trump attended Barbara Bush’s funeral Saturday sans the orange menace, and the internet had a lot to say about her demeanour. 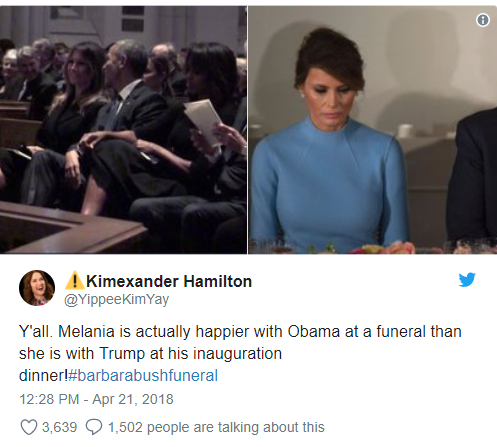 Melania sat next to the respectable former President Barack Obama, and shared the remainder of her row with Michelle Obama, Bill Clinton, Hillary Clinton, and former Canadian Prime Minister Brian Mulroney. 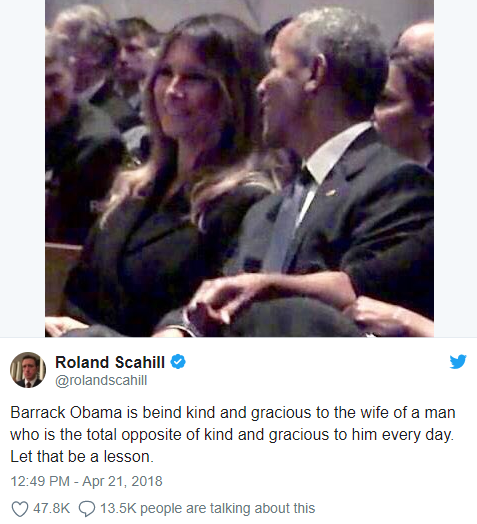 Twitter users quickly seized on a photo of the first lady smiling and sharing a laugh with Obama, a rare sight when she’s in the presence of her own husband. She probably doesn’t know how to react when a grown man acts like an adult to her. I think that is maybe the 3rd genuine smile I’ve ever seen from her. The others were far away from Donald, too.